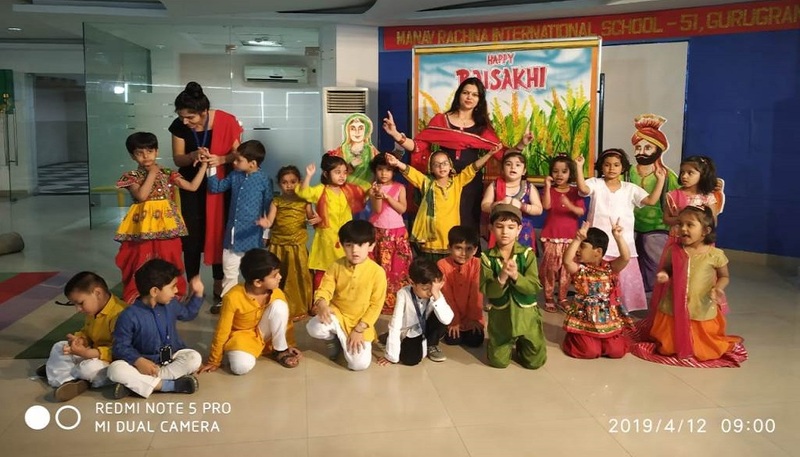 MRIS-51, Gurugram celebrated Baisakhi with enthusiasm and excitement. Literary activities were conducted for classes IV-VIII. Class IV did “Just a Minute” on this topic while Class V wrote acrostic poems on Baisakhi. 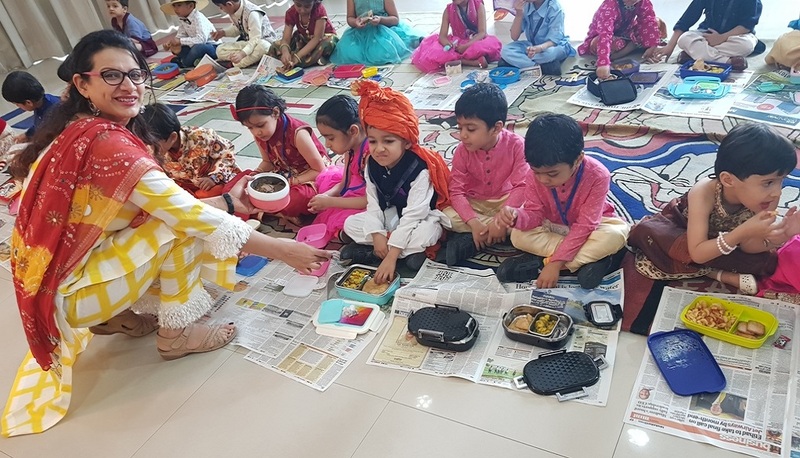 Class VI wrote Diary entries on the Baisakhi celebration in School while class VII & VIII exhibited their literary pursuits in writing a Reflective paragraph on this festival. 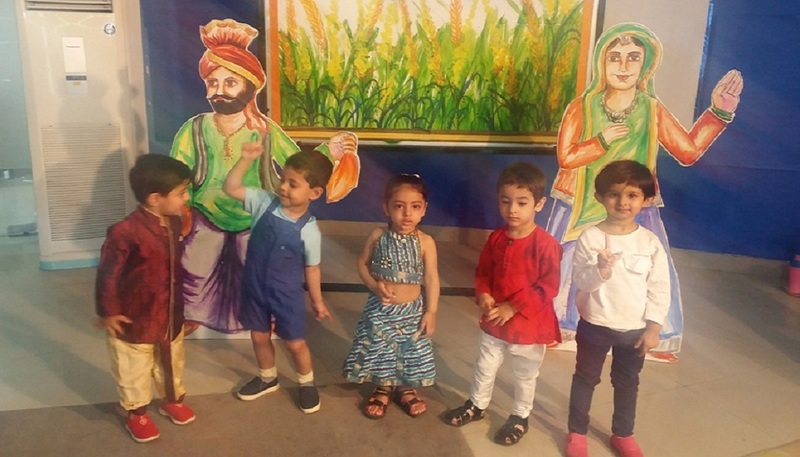 Kindergarteners participated with great zeal and fervour as they were vibrantly dressed in the spirit of the festival and shared information during assembly. They also showcased a mesmerizing dance performance which made everyone else groove to their tune. The children enjoyed community lunch during their lunch period together and had a lot of fun along with some music. The class teacher distributed homemade sweets to students which seemed like a lovely family affair. 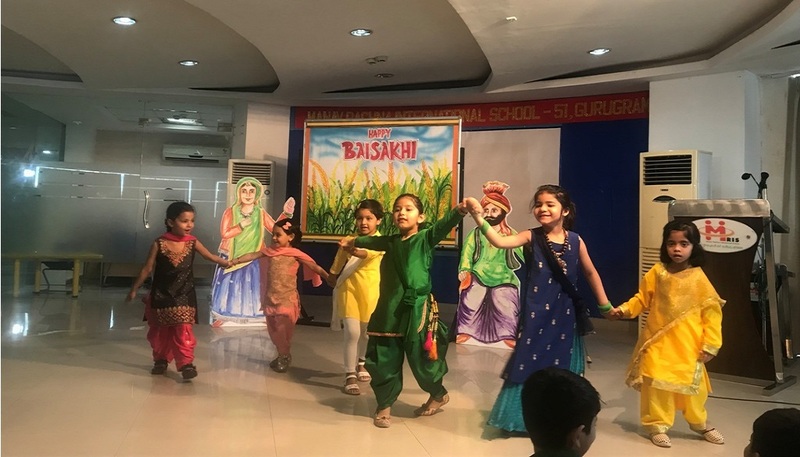 The whole campus looked colorful and joyous with the celebrations and students went home with wonderful memories of Baisakhi celebration to cherish.